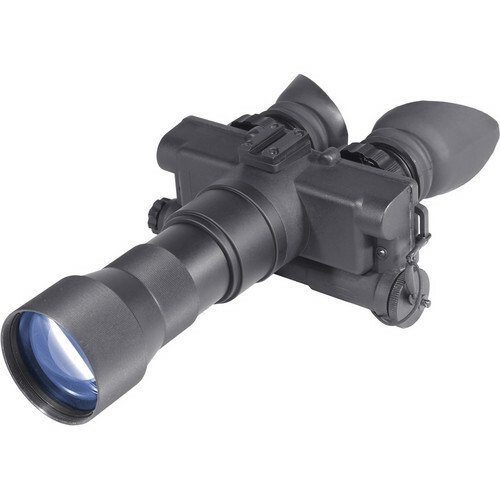 Intended for night observations, the Discovery 5x Gen 2 QS Night Vision Bi-Ocular from Armasight features a 2nd generation intensifier tube and a large 5x objective lens. 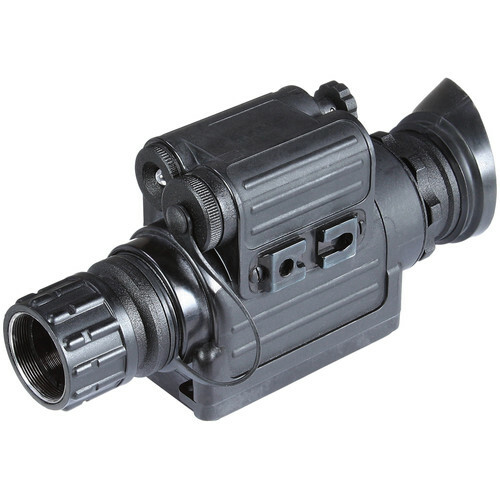 The Armasight second generation intensifier tube technology incorporates a microchannel plate, multi-alkaline photocathode, built-in power supply, and 18 mm format screen, which improve reliability, image brightness, and quality compared to first generation devices. The white phosphor Quick Silver (QS) device offers black and white images with resolution of 47 – 54 lp/mm. 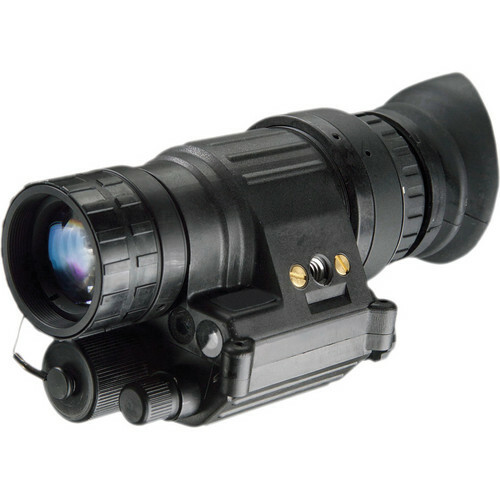 The Armasight Discovery is equipped with Automatic Brightness Control (ABC), which automatically adjusts the brightness of the image tube to achieve the highest quality image resolution under varying light conditions. The Bright Light Cut-off function will protect the intensifier tube from overexposure to sudden bright light or accidental exposure to daylight. The lens system with an F-number of f/1.5 and a focal lengths of 108mm provides a wide aperture for collecting night light and improves visibility. 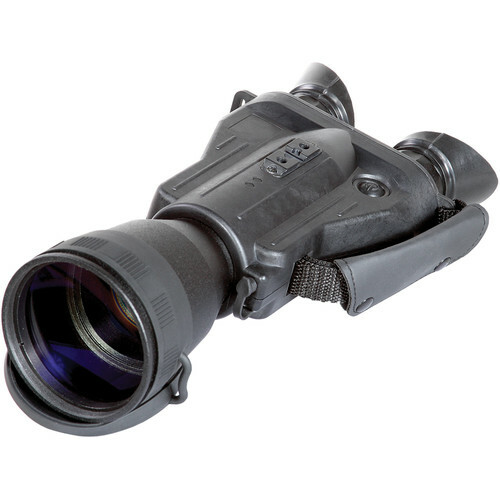 To enable you to make long range night observations or improve visibility and image brightness in complete darkness, this night vision device includes a XLR-IR850 infrared illuminator for additional illumination of your targets. The illuminator is detachable and includes a rechargeable battery and a charger. To help you reduce image jitter due to shaking of hands, which becomes significant at higher magnifications, the bi-ocular can be attached to a 1/4″-20 tripod. The optical system also offers a 9.5° angular field of view, a 33′ minimum focus distance, and a -5 to +5 diopter adjustment. The is powered by one CR123A battery. The lightweight and durable housing is resistant to water, shock, and extreme temperatures. It also features one accessory mounting point on the top, a wide winged eyecups, and a tethered objective lens cover. 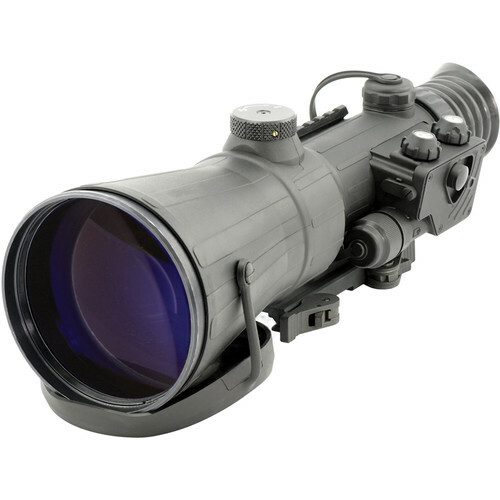 With 8x magnification, the Vulcan 8x 2nd Gen Standard Definition Night Vision Riflescope from Armasight allows you to conduct medium range night observations and make precision target acquisitions. It can be wirelessly operated and features a 2nd generation intensifier tube. 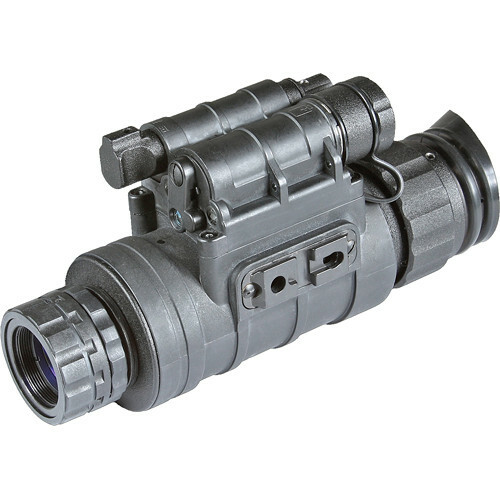 The Armasight second generation intensifier tube technology incorporates a microchannel plate, multi-alkaline photocathode, built-in power supply, and 18 mm format screen, which improve reliability, image brightness, and quality compared to first generation devices. 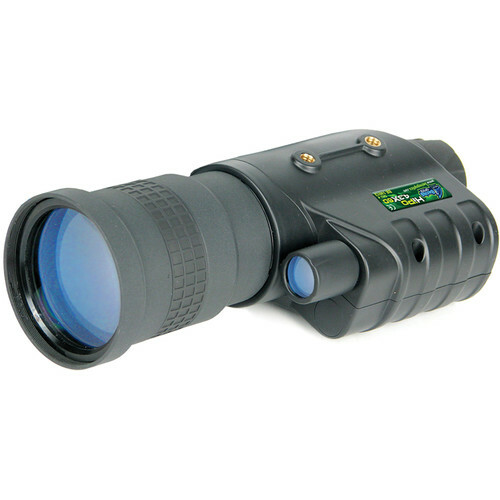 The Standard Definition (SD) feature provides green images and a resolution of 45-51 lp/mm. To extend the life of the intensifier tube and to protect it from overexposure to bright light or accidental turn-on during daylight, the device is equipped the Bright Light Cut-off function. With an f/2.13 F-number and a focal length of 192mm, it provides a wide aperture for collecting night light and improves visibility. 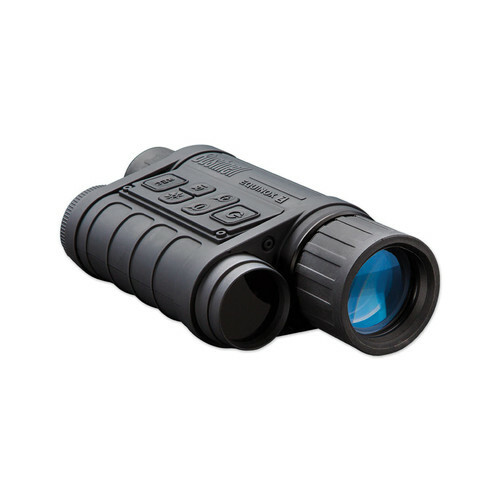 To improve image visibility in complete darkness or to provide additional illumination for your targets, this night vision device includes an XLR-IR850 infrared illuminator. The illuminator is detachable and includes a rechargeable battery and a charger. 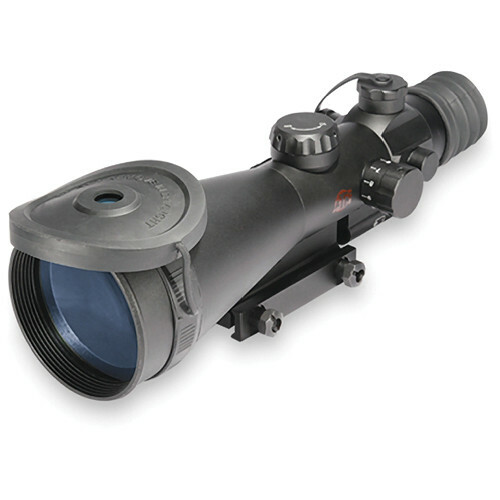 The optical system also offers a 5.4° angular field of view and a 164′ minimum focus distance. The housing is lightweight, durable, waterproof, and resistant to extreme temperatures. Using its quick-release mount, this device can be mounted on Picatinny or Weaver style rails. Also included are as soft carrying case and tethered objective cap.